As Jason Robert Brown's Parade opens at Manchester's Hope Mill Theatre this week, I was invited to write the Foreword for the production's programme. With the producers' permission, my article is reprinted below. 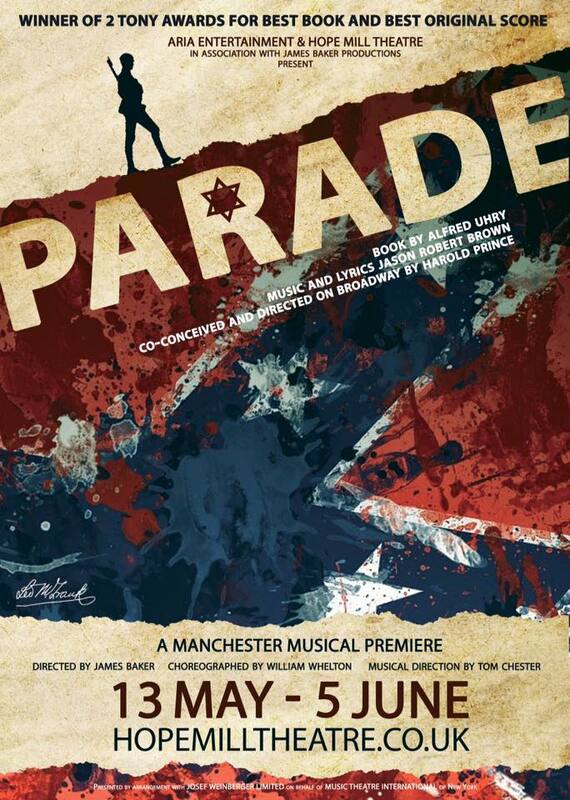 It is a tremendously exciting event for Manchester's newest theatre, Hope Mill Theatre, to be staging the city’s première of Parade, a show that is both inspirational and yet deeply troubling. The musical is a complex, true and thrilling story that touches upon some of the worst aspects of humanity while celebrating a love that flourished in the most desperate of circumstances. Jason Robert Brown’s Tony-winner kicks off during the 1913 Confederate Memorial Day Parade in Atlanta, Georgia. The Civil War had been fought (and lost) some 50 years earlier and it is the aftermath of that defeat that powers the context of this show. The Southern States had fought the North in a desperate, bloody struggle to hold on to their right to enslave African Americans. Slavery was (and is) de-humanising and barbaric and yet, to a majority of folk in the Confederacy, it was not only acceptable, it was desirable. Southern racism was ingrained and the Confederate flag remains a chilling emblem of the white supremacists. As that 1913 parade passed by, Mary Phagan a white 13 year old girl from Marietta, just outside Atlanta, was brutally raped and murdered in the city’s pencil factory where she worked. Amid a hue and cry for justice, it didn't take Atlanta’s Police Department long to be conveniently pointed in the wrong direction, accusing Leo Frank, the factory superintendent. Frank may have been white, but he was a Yankee from the North and worse, a Jew. Parade explores how Frank was subsequently framed and how he and his wife Lucille, fought back. Child abuse and murder may not be regular subjects for a musical theatre treatment, yet from this dark core, composer Jason Robert Brown has fashioned one of the finest musicals to have emerged in the last 20 years. Parade succeeds on so many levels. It has a finely crafted score and libretto, it's a history lesson and a towering love story. Brown won a Tony for the score; listen out for the traditional melodies of the South, carefully woven into his work. There’s Gospel, Spiritual, Blues and Swing in there, with the composer saving perhaps one of musical theatre’s finest coups for his Act One Finale. As Parade’s narrative reaches a horrendous turning point, Brown has his citizens of Atlanta launch into an exhilarating cakewalk. Where Kander and Ebb brought Cabaret’s first half to a troubling close with ‘Tomorrow Belongs To Me’, Brown’s cakewalk juxtaposes jubilation with injustice. Rarely has an array of swirling Southern petticoats and frocks been quite so stomach churning. As a history lesson, Parade is up there with the best. The opening number ‘The Old Red Hills Of Home’ hits the audience with an unforgiving staccato percussion that soon includes a funereal chime alongside discordant strings, before evolving into a chilling yet (whisper it not) discomfortingly stirring anthem. The song is remarkable in that between its opening and closing bars, Brown tells the entire story of the South’s Civil War. A young and handsome Confederate soldier sings the opening lines, who by the song’s end is a gnarled and crippled veteran. Wounded and bitter, the old soldier dreams of the ‘lives that we led when the South land was free’. Brown also kicks off the second half with a punch. While Parade is famously about anti-Semitism, ‘A Rumblin’ And A Rollin’ is sung by two of the Governor of Georgia’s African American Domestic Staff, both well aware that while the Frank furore is gripping the nation, their lot hasn't significantly changed, even after the abolition of slavery. Riley, the Governor’s Chauffeur has a line ‘the local hotels wouldn't be so packed, if a little black girl had gotten attacked’ that should prick at America’s collective conscience even today, while his killer lyric a few bars on, ‘there’s a black man swingin’ in every tree, but they don't never pay attention!’ has a devastating simplicity. Parade also beats to the drum of a passionate love story. Early on we find Leo and Lucille questioning their very different Jewish lifestyles. He’s from Brooklyn, a ‘Yankee with a college education’, while she is a privileged belle about whom Frank observes ‘for the life of me I cannot understand how God created you people Jewish AND Southern!’. There is a cultural gulf between the pair which, upon Leo’s arrest, only widens. How Alfred Uhry’s book and Brown’s lyrics portray the couple’s deepening love, is a literary master stroke. While the show was to receive numerous nominations in both Broadway’s 1999 awards season and later in 2008 on its London opening, the Opening at New York's Lincoln Centre disappointed, running for barely 100 performances. Variety magazine called it the ‘ultimate feel-bad musical’ and the crowds stayed away. 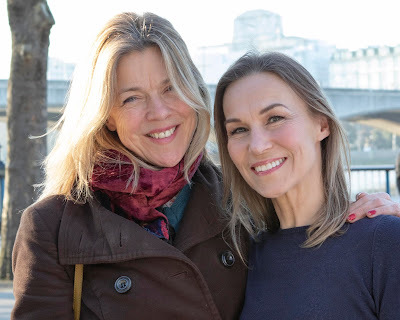 It was however, to be at London’s modest Donmar Warehouse, directed by Rob Ashford who had been the show's original Dance Captain on Broadway, that the show was to soar. So much so that Brown took the Donmar production back for a successful run in Los Angeles, with Lara Pulver, the Donmar’s Lucille, still in the lead. Thom Southerland’s fringe production a few years later at London’s Southwark Playhouse received similar plaudits. So why was Parade loved in London, yet shunned in New York? Wise theatre heads have suggested that perhaps Americans have little appetite for a musical that focuses upon such an ugly feature of their country’s history. 100 years on, what has been the legacy of the Frank case? For good, it served to spawn the Anti-Defamation League, America’s anti-fascist organisation. However the episode also re-ignited the burning crosses of the Klu Klux Klan. I recently visited Marietta to see for myself where Leo Frank’s story ended. Sadly, even if un-surprisingly, the site isn't marked amidst what is now a busy road intersection and if you didn't know what you were looking for, you'd never know you've been there. And think back to last year, with the horrific massacre of 9 Black Americans, shot as they prayed in a South Carolina church, by a man who was pictured proudly waving the Confederate flag. Incredibly up until last year, a handful of States still flew that flag from government buildings, with Mississippi still including the Confederate emblem as a component of its state flag to this day. The Leo Frank trial and its aftermath ripped a nation apart, re-opening fault lines that to this day have barely healed. Parade opens at the Hope Mill Theatre on 18th May and plays until 5th June.